From the author of Discovering the Body, (“…a book so sure-handed and graceful that you might forget it’s a murder mystery…” New York Times Book Review) comes a suspenseful story of doubt, delusion and fierce loyalty. 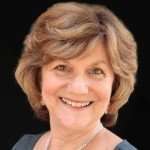 Linda Garbo’s good friend Esther, a voice actress, has a remarkable flair for accents and dialects, and for creating vivid characters on her local radio show Willing Suspension. Esther has schizophrenia, which for years has been controlled so well that only close friends and family have been aware of her occasional psychotic breaks. But as the story opens, the usually warm and witty Esther is behaving strangely in public; on her live show she maintains character and dialect, but wanders alarmingly off plot. When Esther’s two-month-old granddaughter Gracie is abducted, it is clear that Esther, suffering the effects of her illness, was responsible. She even confesses to the crime. But what about the baby’s mother Annie, who suffers from post-partum depression and has struggled to bond with Gracie? Or the stranger, wearing a shirt with a flying-horse design, whose appearance during Gracie’s baptism sent Esther into a rage, driving the “girl with wings” from the church? Evidence confirms Esther as the kidnapper, but blinded by loyalty to her friend, Linda stubbornly insists on trying to prove Esther’s innocence and discovers a complication of Esther’s madness—while exposing treachery and a motive—that is more evil than anyone expected. 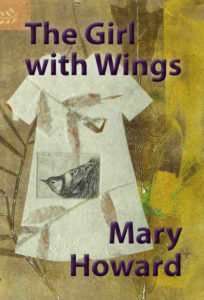 Mary Howard advised art and design students in the College of Design at Iowa State University for seventeen years, which inspired her to write novels with visual artists as main characters. 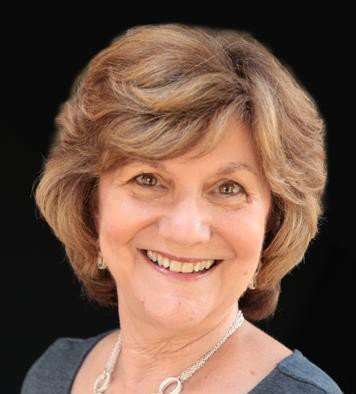 The Girl with Wings is her second suspense novel to feature graphic designer Linda Garbo and the fictional Madison County town of Linden Grove. 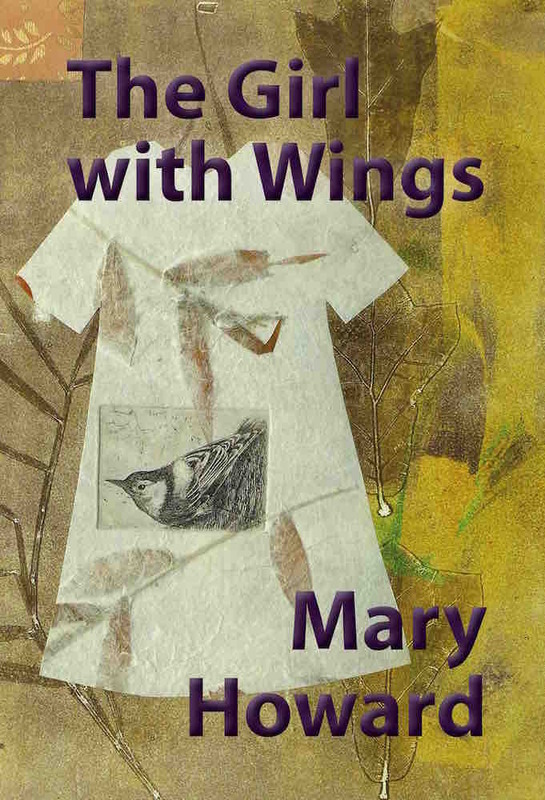 Mary was named among “Outstanding Writers” in The Pushcart Prize, IX for her short fiction. Parts of this novel were written during a Residency at The Ragdale Foundation, Lake Forest, Illinois. She lives and writes in Ames, Iowa. 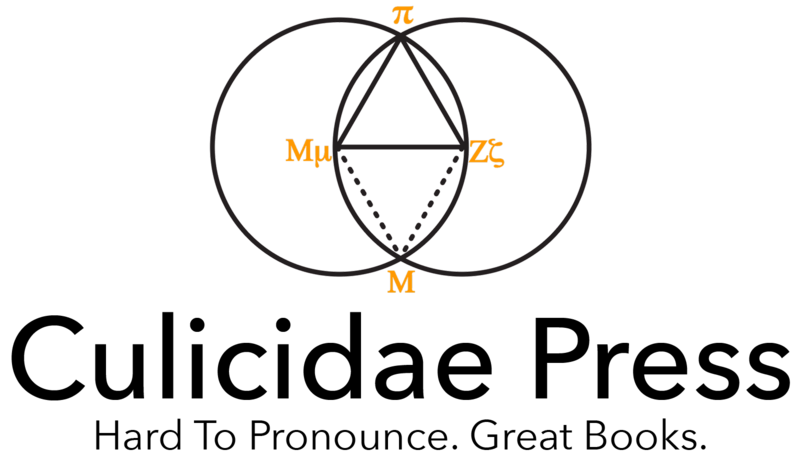 Click on the image below to view the first chapter of the book as a pdf (172KB). If you work for a bookstore or library, please use this orderform for a 50% discount.